I am new at mobile phone repair, but have been a tinkerer all my life, and repaired my phone twice Optimus S, bad USB port, and volume rocker). So I guess my question is, is this common when ordering parts on ebay (it was a top rated vendor, I am emailing them now), and if so, what are tips to avoid it? This is a pure fault of the vendor, I would ask for a replacement from that vendor. Oh, I have returned it. I just wonder how common a problem it is. Are many of the parts ones that failed QC checks? Irregulars? Knockoffs or perhaps unofficial production runs from the workers that make the regular ones but with less oversight? Just avoid sharp folds where the Flex cable joins to the glass. The "pads" that connect are VERY easy to pull up and apart. Let it gently fold up and into the notch at the top middle of the plastic. Tape down the digitizer on the back of the LCD so it can't put any pulling on this connection. 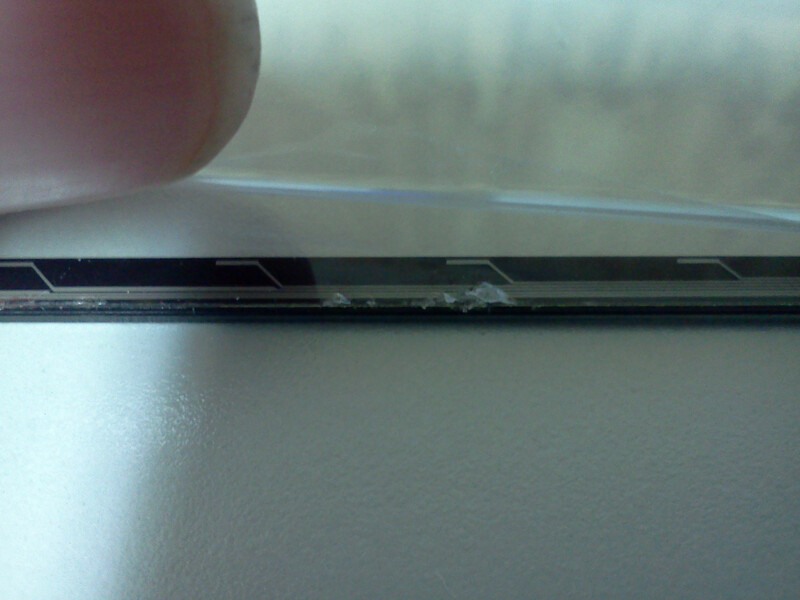 I've replaced the digitizer on my GSM Evo 3D 6 times now. All of them came from eBay, from several different vendors. I've tried the $50 digitizers and the $10. Each of them "brand new", each of them "OEM", each of them "tested" and each of them packaged beautifully. Yet not one has worked 100%. I've seen indents/divets on the circuit side, had dead zones, frozen screens, phantom touches etc. I agree with the op, at least for eBay screens. Unfortunately, with so much crap out there on eBay, there's simply no way to tell if it's the genuine article. Returning them is always a nightmare and a time delay, so I just stick with the cheapo $10 ones and try to buy from my own country. I have a small home biz repairing HTC phones. Buying Digitizers from Ebay has not been too bad but it does happen once in a while. I'm talking maybe 2% I would say that its rather amazing that any work what with how some are shipped. *No padding. I just found this site and am glad there are other people who hate throwing away great stuff like the HTC phones. BTW That gap where you get 1/4 of screwieness is how I see these fail. Don't give up. *Or if you do send me the broken phone! I'm always looking for more of these to fix. I have repaired the same HTC Evo 3D for someone four times now because of phantom touches or other issues with the digitizer. The last time it worked for 6 months before happening again. The device does not make it easy to get everything exactly where it goes but thankfully now you can get another device for $50-$80 if you feel like throwing the one you are working on across the room. This may be of some help; When I order after market crap silver ipad & ipad mini digitizers, I have to Kapton tape the !&&* out of them around perimeter and especially between home button and any possible points of contact between ribbon cable and digitizer. If I don't do this, they misbehave in the same way as is reported here. I cannot believe that one user goes through 6 "bad" ones while another user had no issues - from same source. So...it MUST be technique. William Robbins será eternamente grato(a).